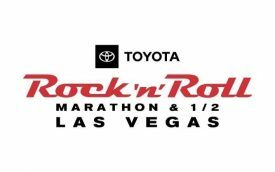 TAMPA, Fla. (Oct. 8, 2018) – The Rock ‘n’ Roll Marathon Series® is excited to announce its partnership with the leading global wearables brand, Fitbit®, as the Official Wearable Technology Partner of the Toyota Rock ‘n’ Roll Las Vegas Marathon & ½ Marathon. The largest event on the Rock ‘n’ Roll Marathon Series tour, is celebrating 10 years running by bringing more music, runner support, and community engagement to the race. The event will take place on the Las Vegas Strip at night on Saturday-Sunday, November 10-11, 2018. Fitbit’s vision is to make everyone in the world healthier with a platform and ecosystem that gives users important data and access to one of the largest global health and fitness communities that can help encourage and motivate them to reach their goals. Fitbit offers a variety of full-featured premium tracker and smartwatch options at various price points. They work with smartphones across Android, iOS and Windows, and feature industry-leading battery life, providing people at every fitness level with a personalized experience which can help them to reach their health and fitness goals, including marathon, ½ marathon, 10K or 5K training. Runners and spectators are invited to visit the music-inspired Fitbit booth inside the Rock ‘n’ Roll Health & Fitness Expo (booth number: 222) to experience the latest in Fitbit’s wearable technology where consumers will receive Fitbit demos for the latest devices and show their Las Vegas pride with temporary tattoos. Additionally, Fitbit will host a ‘cheer mile’ with a live DJ at mile 7 to root for the thousands of runners to keep up the great work. Fitbit ambassador and ultramarathon runner, Dean Karnazes, will participate this year by inviting runners to join him as he leads a 5K shakeout run on Friday, November 9, beginning at the Convention Center. In addition, he will also be running the full marathon on November 11. An internationally recognized endurance athlete and a New York Times bestselling author, Karnazes has pushed his body and mind to inconceivable limits. Dean is one of TIME magazine’s “Top 100 Most Influential People in the World,” and has run 50 marathons, in all 50 U.S. states, in 50 consecutive days. The Health & Fitness Expo will be held in the Las Vegas Convention Center on Thursday, November 8, 2018 from 3:00 – 6:00 p.m. PDT through Saturday, November 10 from 9:00 a.m. – 6:00 p.m. PDT. The expo will showcase vendors and official partners, like Fitbit, featuring the latest in running gear, nutrition and training, and is free and open to the public.For more information or to register for the Toyota Rock ‘n’ Roll Las Vegas Marathon & ½ Marathon, visit www.RunRocknRoll.com/las-vegas. For more information on the Rock ‘n’ Roll Marathon Series, please visit www.RunRocknRoll.com. For information about Fitbit, please visit www.fitbit.com. Fitbit helps people lead healthier, more active lives by empowering them with data, inspiration and guidance to reach their goals. As the leading global wearables brand, Fitbit designs products and experiences that track and provide motivation for everyday health and fitness. Fitbit’s diverse line of innovative and popular products include Fitbit Charge 3™, Fitbit Alta HR™, Fitbit Alta®, Fitbit Ace™, Fitbit Flex 2®, and Fitbit Zip® activity trackers, as well as the Fitbit Ionic™ and Fitbit Versa™ smartwatches, Fitbit Flyer™ wireless headphones and Fitbit Aria 2™ Wi-Fi Smart Scale. Fitbit products are carried in over 39,000 retail stores and in 86 countries around the globe. Powered by one of the world’s largest social fitness networks and databases of health and fitness data, the Fitbit platform delivers personalized experiences, insights and guidance through leading software and interactive tools, including the Fitbit and Fitbit Coach apps, and the Fitbit OS for smartwatches. Fitbit Health Solutions develops health and wellness solutions designed to help increase engagement, improve health outcomes, and drive a positive return for employers, health plans and health systems. The Rock ‘n’ Roll Marathon Series® is the world’s largest running series with more than 600,000 runners taking part in over 30 destination events around the world every year. Established in 1998, the Rock ‘n’ Roll Marathon Series’ simple idea of making running fun has transformed both the U.S. and global running landscape by infusing the course with live bands, cheer teams and entertaining water stations, creating a block-party atmosphere for participants and spectators alike. Race weekend kicks off with a free Health & Fitness Expo showcasing the latest in running gear, sports apparel, health and nutritional information and much more. Events culminate with an entertaining finish-line festival and Toyota Concert Series Headliner featuring some of the biggest names in music, with past performances including Macklemore & Ryan Lewis, Aloe Blacc, Pitbull, Flo Rida, the Goo Goo Dolls and Bret Michaels. Further information about the Rock ‘n’ Roll Marathon Series can be found online at www.RunRocknRoll.com and follow @RunRocknRoll on all social platforms.